Let's face it: the Bible can be intimidating to a child. It's long, dense, and often full of words that are unfamiliar. But it's also a book of answers. The Bible has an answer to life's biggest questions for those willing to look. Here at TeachSundaySchool.com, we strive to create opportunities for children to see their Bibles as a source for answers. Our "Learning Lookups" printables were designed with this goal in mind. 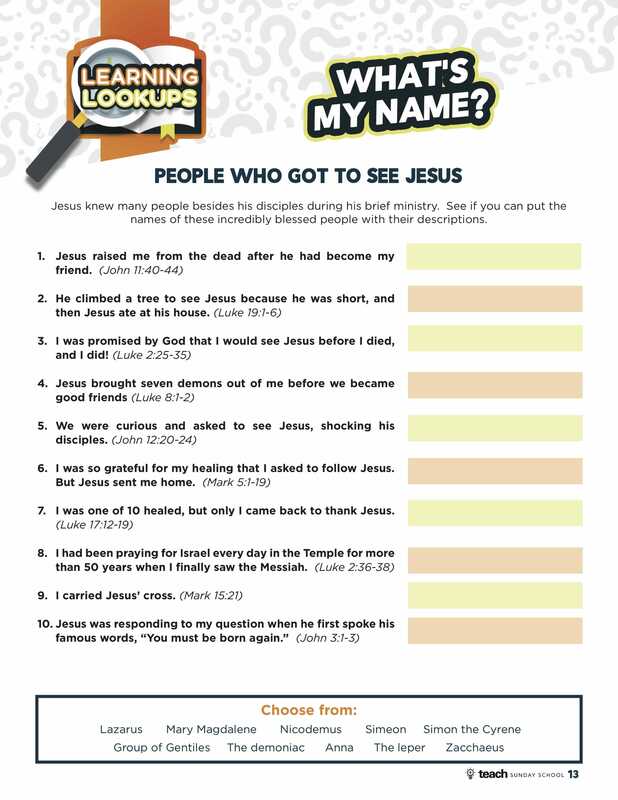 Each one-page printable sends children hunting for ANSWERS to very interesting questions IN their Bibles! Kids will learn amazing facts about the Bible's most notable personalities, but they will also gain confidence in navigating their Bibles with ease! 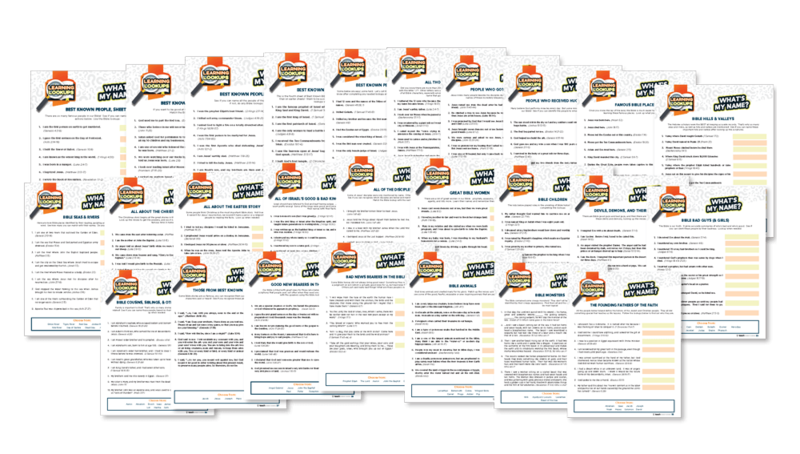 Inside you will find 26 Learning Lookups Worksheets- just like the one above! You can print off as many copies as you need for your own church or private use. In addition to the Learning Lookup worksheets, we've included a handy answer key to make it easy to verify correct answers! Each Learning Lookup Worksheet focuses on a specific topic. 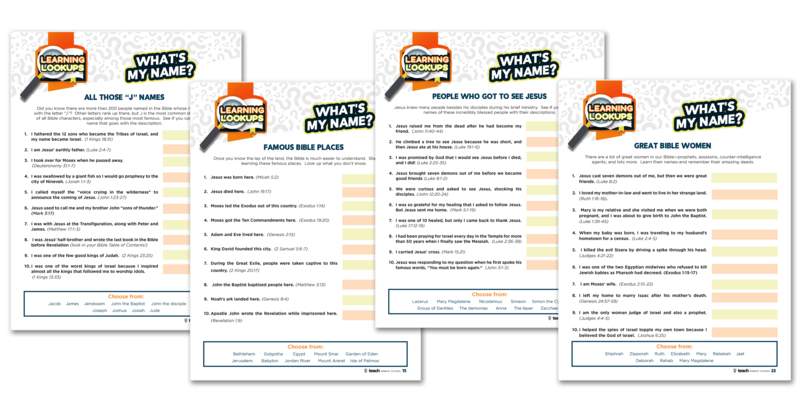 As soon as your order is securely processed, we’ll direct you to a download area, where you can get instant access to all 26 “What’s My Name?” Learning Lookup Printables. Print out the Learning Lookup Worksheets and answer key on your home computer in just minutes! Kids (& even grown ups) find these sheets an enjoyable challenge, and love discovering new information about the most influential Bible characters! We are so sure that you will love the What's My Name? 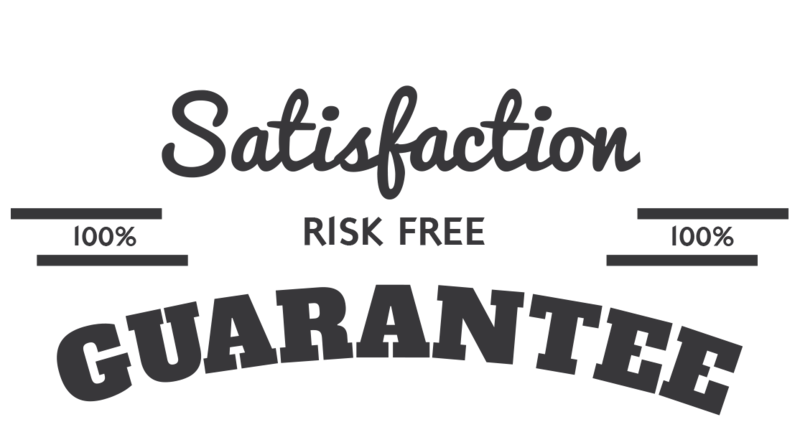 Learning Lookups that we are offering an unconditional 100% money-back guarantee. 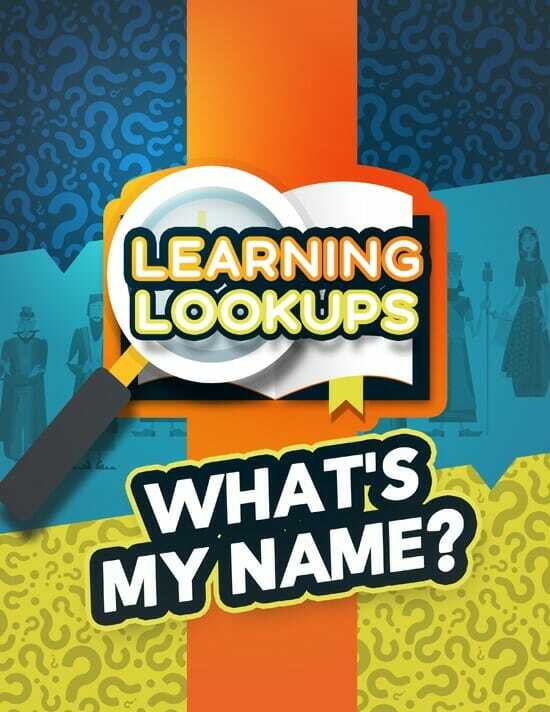 The Learning Lookups were designed for ages 6 & up. The material is equally effective with mixed age groups or single age classes. Younger children who are not yet able to read independently can be paired up or placed on teams with older children. Our Learning Lookups were designed to be used with the New International Version (NIV) of the Bible. The Learning Lookups can be used within minutes after purchase. The only “prep” required is printing out the fact files & finding a pencil and Bible. Both! 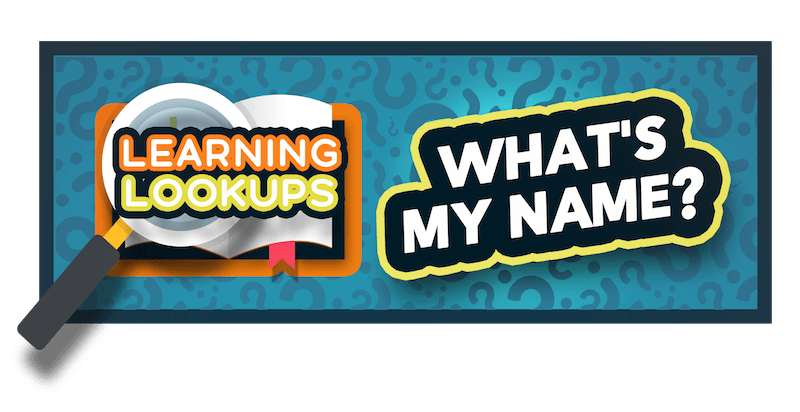 Our Learning Lookups work equally well in a large Sunday School class or a single child homeschooling setting.